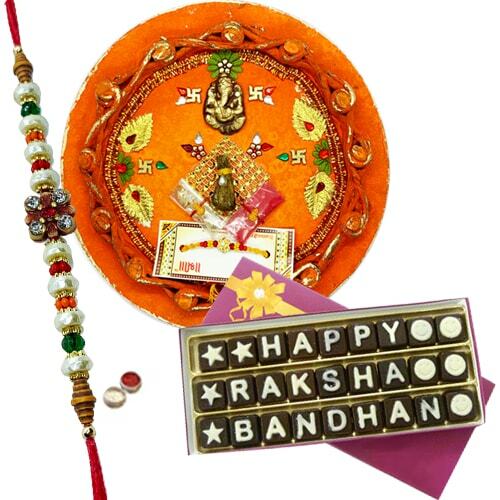 See a sparkling shine on the faces of your dear ones when you send them on Raksha Bandhan this Smashing Gift of Innovative Thali and a Pack of Satisfying Rakshabandhan Chocolates integrated with a Rakhi, Roli Tilak and Chawal free of charge. The Pack is decked with 27 Pcs of Chocolates. The formation of the Rakhi may comes with alteration.